The certification mark of the Gluten-Free Certification Organization (GFCO) is a symbol of trust and unification for the gluten-free community. You’ve seen it. Down every natural food aisle in your local grocery store and at every health-conscious marketplace, it’s out there. It is probable that it’s in your own kitchens, pantries and refrigerators at home. Found on more than 50,000 products, it is the certification mark that is most identified and depended on by gluten-free consumers. It is the certification mark of the Gluten-Free Certification Organization (GFCO) and it is a symbol of trust and unification for the gluten-free community. GFCO is a Food Safety program of the Gluten Intolerance Group (GIG), a nonprofit organization providing assistance and resources to the gluten-free community since 1974. Cynthia Kupper, GIG's CEO, recognized the need for an "easy to identify" labeling of safe, gluten-free products and aligned the program with several scientific bodies, researchers and doctors to become a leading authority on gluten-free product certification. With a more robust auditing process and the backing of laboratories and testing companies, GFCO became the sought-after certification mark on gluten-free products worldwide. As a third-party certifier, GFCO is not the creator of federal regulations, but operates and is fully recognized by the FDA and USDA. GFCO has set standards based on food safety regulations, Good Manufacturing Procedures, HACCP, and SQF and BRC requirements. GFCO has always aligned itself with those who have stellar reputations and similar values and, as a result of doing so, now certifies more than 90 percent of the gluten-free products that are under a third-party gluten-free certification in the United States and Canada. Given this success, GFCO certification is also quickly becoming the sought after program for overseas' manufacturers. Products certified by GFCO abroad must meet their local authority regulations as well as the established GFCO standards. Unlike other certification programs, GFCO not only certifies that a company’s processes meet GFCO's standards, but also that the products produced meet the 10 ppm-or-less standard, a stricter standard than the 20 ppm required by the FDA for gluten-free labeled products. GFCO has also received ISO/IEC 17065:2012 (ISO 17065) accreditation from the American Association for Laboratory Accreditation (A2LA). ISO 17065 is the international quality standard for organizations certifying products, processes and services. The accreditation differentiates GFCO from certification organizations that only focus on a company’s management and processes. The steps taken with this accreditation allows GFCO to achieve the highest standards in quality control and assurance for gluten-free certification, including risk assessment, plant audits, equipment testing, and product testing both in the plant and at the point of consumer purchase. Consumer safety and the trust of the community is vital to the success of a new gluten-free product trying to find an identity in this rapidly growing sector. GFCO certification not only reassures consumers that the product has been tested and the manufacturing site inspected, it also saves consumers time spent researching a manufacturer for the gluten-free status of a product. 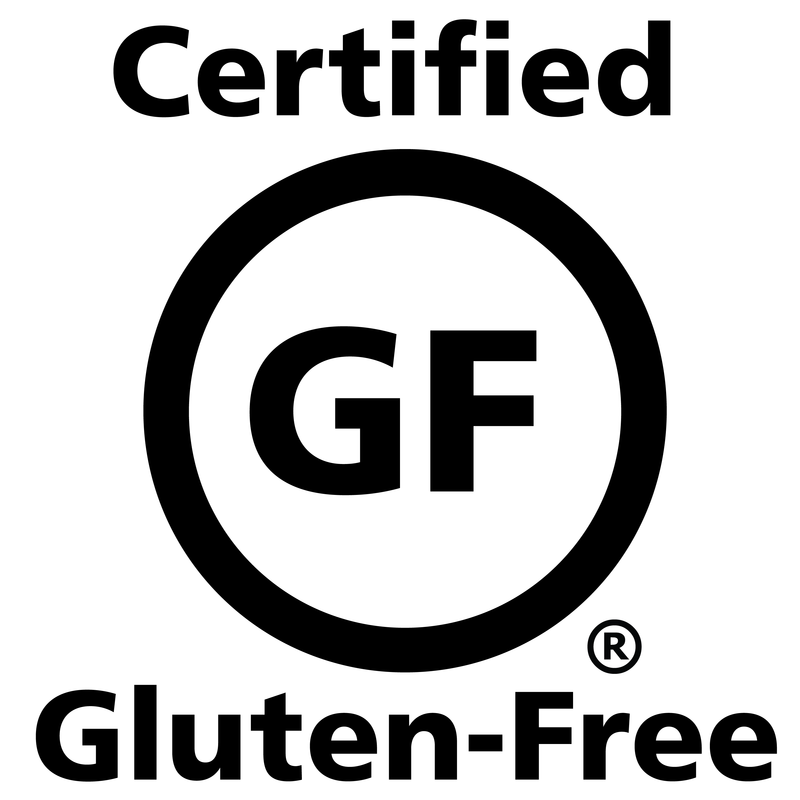 The certified “circle GF” is the symbol that customers are looking for when they pick your product off the shelves. Give them what they are looking for, gain the confidence of the consumer, and visit www.gfco.org to find out how your company can carry the mark of the gluten-free community.